Congratulations Southern Regional Boys Lacrosse on defeating TR East 9-4 on Monday, May 14, 2018. 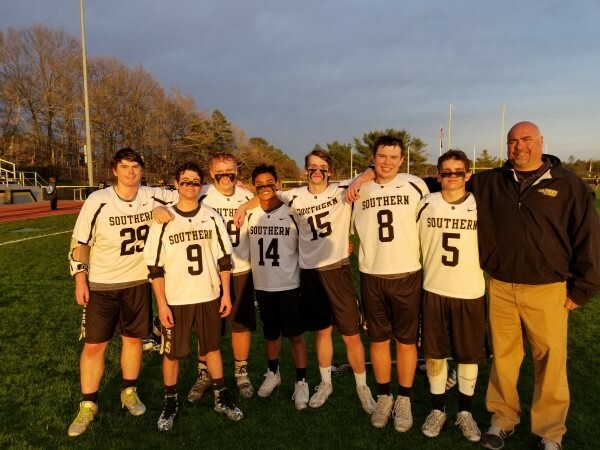 Congratulations Southern Regional Boys Lacrosse on defeating Egg Harbor Twp 15-6 on Senior Night, Monday April 30, 2018. 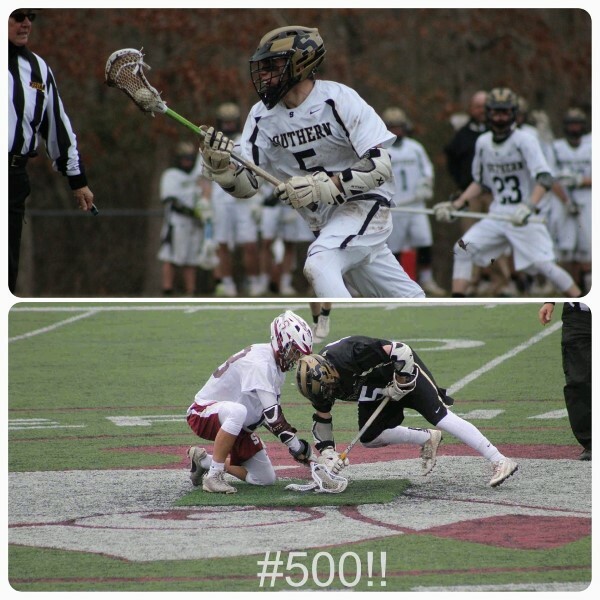 Congratulations Southern Regional Boys Lacrosse senior Anthony Firmani on his 500th career face off win vs TR South on Tuesday, April 3, 2018. 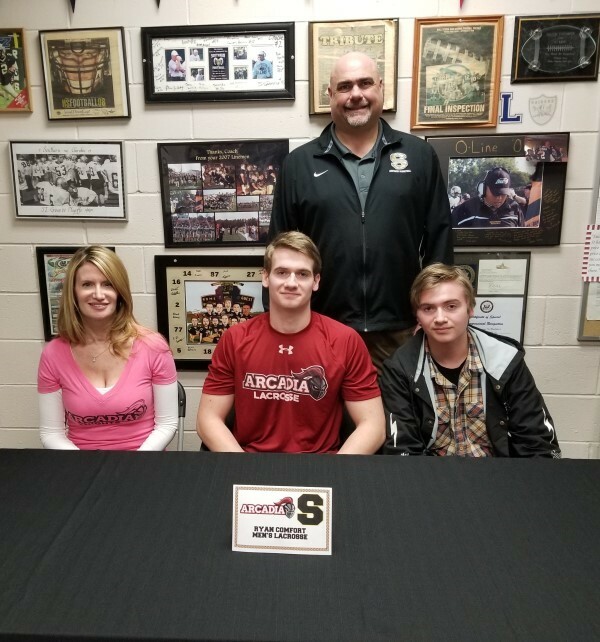 Congrats Southern Regional Boys Lacrosse player Ryan Comfort on his commitment to Arcadia University to continue both his academic and lacrosse careers. 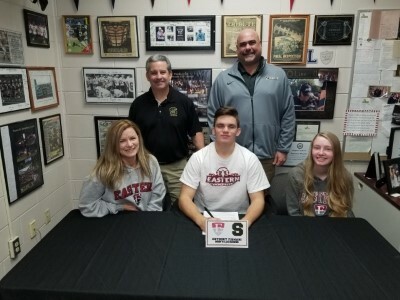 Congratulations Southern Regional Boys Lacrosse Anthony Firmani on his commitment to Eastern University, Pa to continue his academic and lacrosse career. 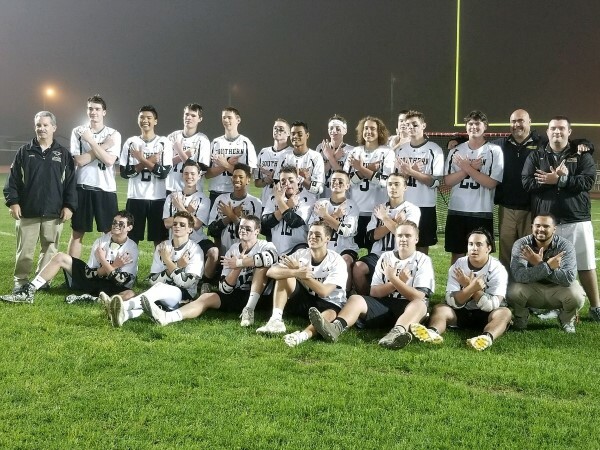 On Monday, May 16, 2016 the Southern Regional Boys Lacrosse Team defeated Brick Memorial 20-3 to win the Shore Conference "A" South Title for the 4th consecutive year and 5th overall in school history. 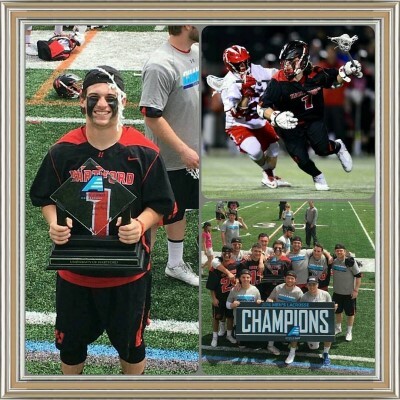 Congrats Southern Regional Boys Lacrosse Alum Dylan Jinks with Hartford University Men's Lacrosse on winning the American East Conference Tournament title. The Hawks are headed to the 2016 NCAA Tournament where they will play Quinnipiac in the 1st round. 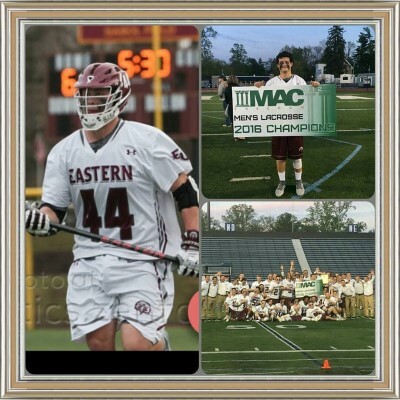 Congrats Southern Regional Boys Lacrosse Alum (Class of 2013) Nick Jinks Eastern University Men's Lacrosse team on winning their 5th straight MAC Conference Title. 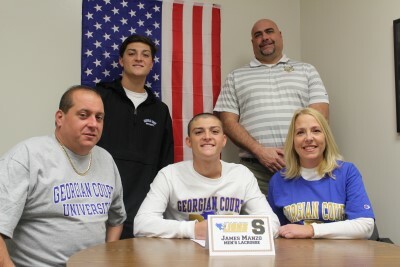 Congratulations to Southern Boys Lacrosse senior player James Manzo on signing his National Letter of Intent to continue his education and lacrosse career at Georgian Court University. 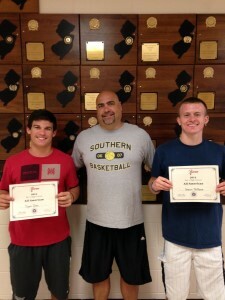 Congratulations to Southern Boys Lacrosse Seniors Dylan Jinks and Mike Adragna on being named 2015 US Lacrosse Boys High School All Americans. 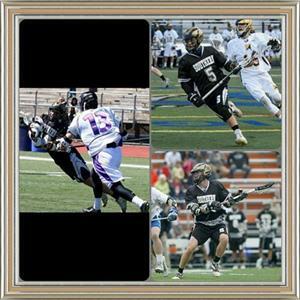 Congratulations to the Southern Boys Lacrosse Seniors on being chosen to play in the 2015 Shore Conference All Star Game. 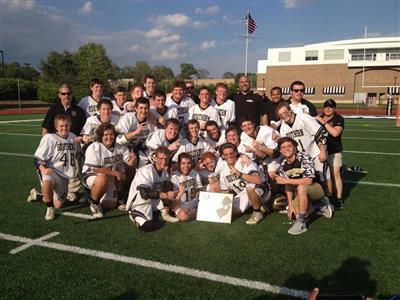 Congratulations to the Southern Regional Boys Lacrosse Team on winning the 2015 Shore Conference Boys Lacrosse Tournament. The Southern Regional Boys Lacrosse team has received the #1 seed in the 2015 NJSIAA South Jersey Group 4 Tournament. 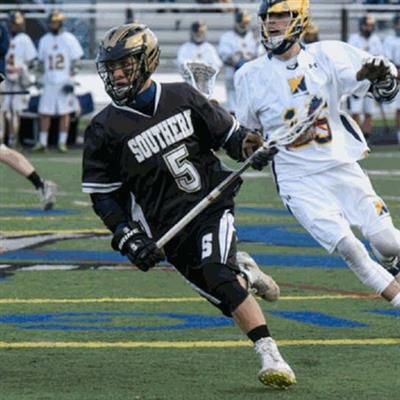 Congrats Southern Boys Lacrosse player Dylan Jinks on scoring his 400th career point in tonight's ?#?SCT quarterfinal game victory over Ocean Twp 15-4. 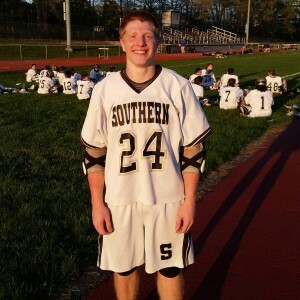 Congrats Southern Regional Boys Lacrosse player Chris Smith on scoring his 100th career goal in the Shore Conference Tournament 1st round game victory over Brick Twp 22-5. 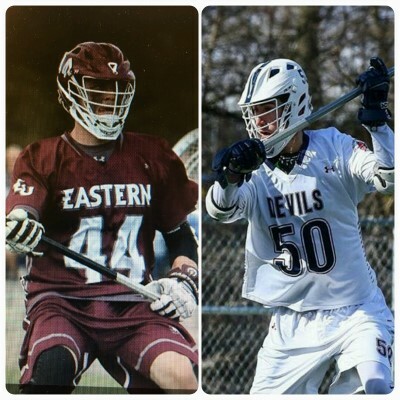 Congrats to Southern Regional Alum Nick Jinks (Class of 2014) on being a member of the 2015 Eastern University Men’s Lacrosse team that won the Freedom Conference Championship for the 4th year in a row. 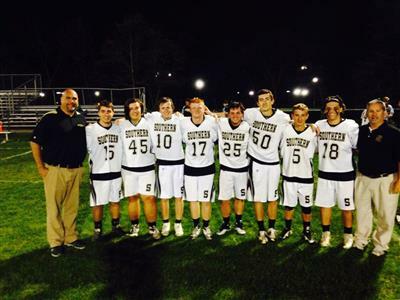 The Southern Regional Boys Lacrosse team has qualified for the 2015 Shore Conference Boys Lacrosse Tournament. The Rams received the #1 seed and will host the winner of the Play In Round game of Middletown North/ Brick Township on Tuesday, May 5th at 4:00 pm. Attached is a tournament bracket. Good Luck Southern! 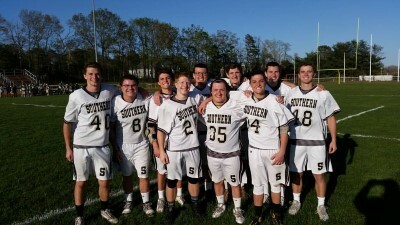 Congratulations to the Southern Regional Boys Lacrosse team on defeating Brick Twp on Senior Night. 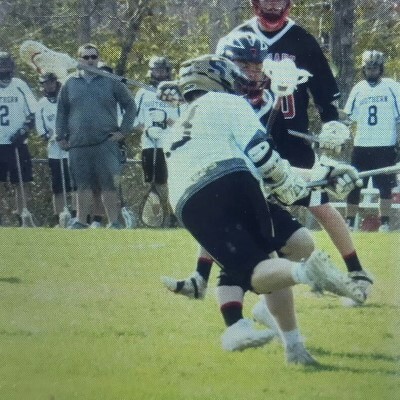 Congratulations to Senior Boys Lacrosse player Dylan Jinks on scoring his 200th career goal on March 25, 2015 vs Oakcrest in the Rams season opener. Congrats and Good Luck the rest of the season. Congratulations to Senior Boys Lacrosse player Shawn McManus on scoring his 100th career goal & 100th career assist over Spring Break. Congrats and Good Luck the rest of thr season. 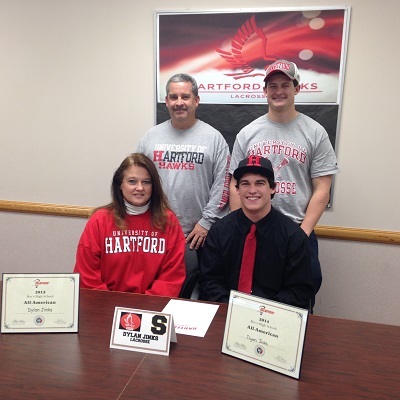 Congratulations Dylan Jinks on continuing his education and Lacrosse career at the University of Hartford. 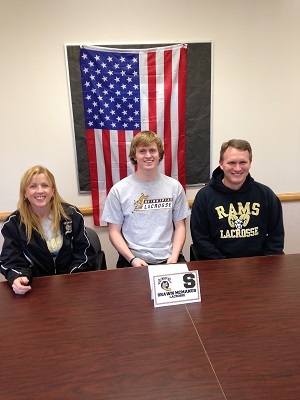 Congratulations Shawn McManus on continuing his education and Lacrosse career at Quinnipiac University. Shawn has helped lead the Rams to back to back NJSIAA South Jersey Group 4 & Shore Conference "A" South Titles the past two seasons. 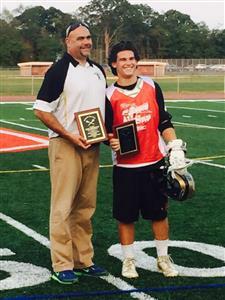 He was named an All American High School Boys Lacrosse player for the 2014 spring season by US Lacrosse. He is pictured with his parents; Father Mike and Mother Michelle. Good Luck Shawn! Congratulation to Southern Boys Lacrosse Players Dylan Jinks and Shawn McManus on being named USLacrosse All Americans this season. They are pictured with Southern Regional Head Coach John Pampalone. 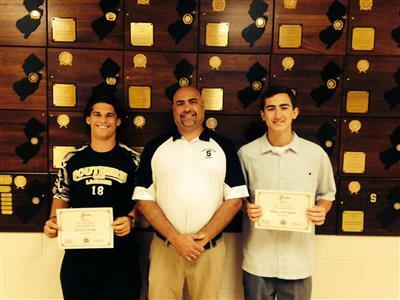 Congratulations to Southern Boys Lacrosse Seniors; Brendan Mullen, Adam Eastburn & Billy Dowd on representing Ocean County in the 2014 All Shore Game. 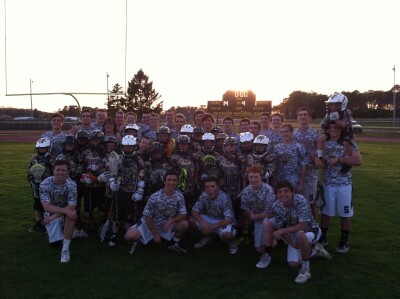 The game was played on Tuesday, June10th.The seniors are pictured with Southern Boys Lacrosse Coach John Pampalone. Thank you for all you have done for Southern! Attached is the 2014 NJSIAA State Championship Program. Southern will play Westfield on Wednesday, May 28, 2014 for the NJSIAA State Group 4 Championship. This is Southern’s 2nd straight year in the state championship game. Congratulations to the Southern Regional Boys Lacrosse team on defeating Lenape 11 to 10 in OT and winning the NJSIAA South Jersey Group 4 Sectional Title for the 2nd year in a row. 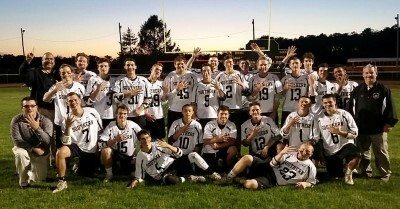 Congratulations to the Southern Regional Boys Lacrosse program on defeating Eastern 14 to 5 in the 2nd Round of the NJSIAA South Jersey Group 4 Playoffs. 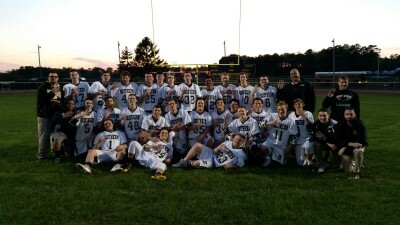 Congratulations to the Southern Regional Boys Lacrosse Team on defeating Barnegat 9 to 8 in OT on Thursday, May 15, 2014. The Southern Regional Boys Lacrosse team received the #1 seed in the upcoming NJSIAA South Jersey Group 4 Tournament. 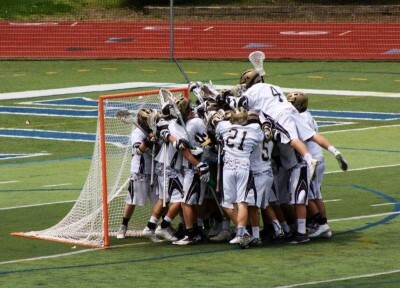 Congrats to the Southern Regional Boys Lacrosse team on defeating CBA in the #SCT SemiFinals 7 to 4. 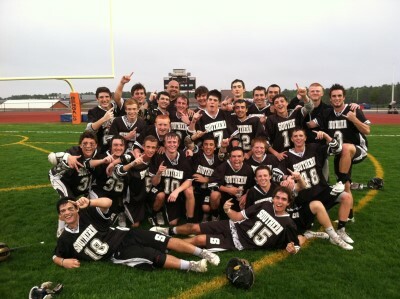 Congratulations to the Southern Regional Boys Lacrosse Team on defeating Barnegat 11 to 2 in the #SCT Quarterfinals. The Rams move on to the Semifinals of the #SCT on Saturday, May 10th and will face CBA at 12pm. The game will take place at Monmouth University. Additional congrats to junior, Dylan Jinks, with his 4 goals against Barnegat, he has broken the SRHS single season goals scored record with 70 on the season. Good Luck the rest of the season. 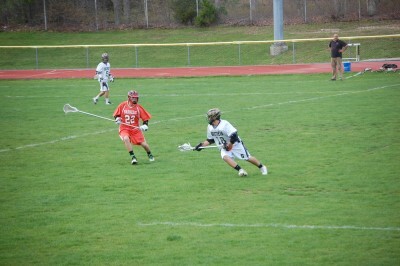 Congrats Southern Boys Lacrosse on defeating TR South 14 to 1 in the 1st round of the Shore Conference Tournament. 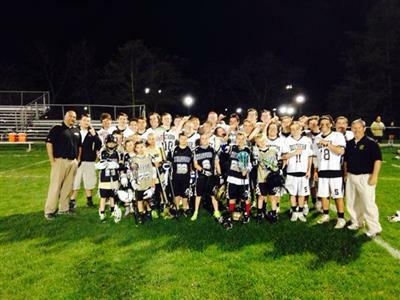 It was Stafford Youth Lacrosse night and there was a great showing of future Rams. We also raised money for David’s Dream & Believe Foundation & American Cancer Society. Thank you to all who supported the event. Next round Southern (#2 seed) will host Barnegat (#10 seed) on Thursday at 4pm in the Stadium/Ron Emmert Field. Come out and support the Rams. The Southern Regional Boys Lacrosse team received the #2 seed in the upcoming 2014 Shore Conference Tournament. The Rams will host #15 seed TR South on Tuesday night/ May 6th at 6pm on Ron Emmert Field at Goldberger Stadium. There will be no admission fee. There will be donations collected for the American Cancer Society and David’s Dream & Believe Foundation fight against cancer. We will honor our Seniors before the game and the Stafford Lacrosse Program at halftime. Please come out and support the Rams! 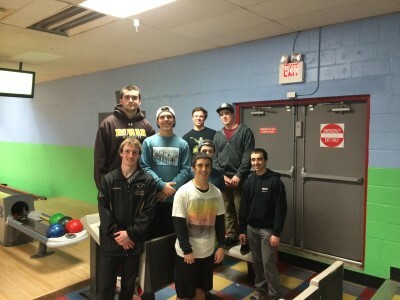 Thank you to all Southern Regional Lacrosse parents, coaches & players for the annual pizza party at Thunderbird Lanes in Manahawkin, NJ to start off the 2014 season. 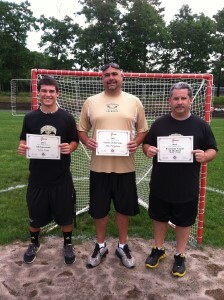 Congratulations to Southern Regional Boys Lacrosse representatives on being named US Lacrosse All Americans from the Shore Conference & South Jersey area for the 2013 season. Sophomore, Dylan Jinks, Head Coach of the year, John Pampalone and Assistant Coach of the Year, Mike Jinks. 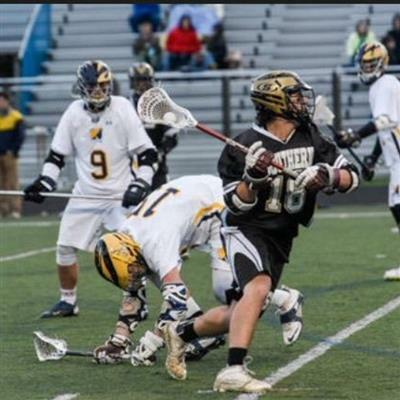 Also, Congrats & Good Luck to Dylan Jinks on being selected to play in the 2013 Brine All American National Lacrosse Classic tournament which will be held at the Maryland Soccerplex in Boyds, Md from June 30th to July 3rd. 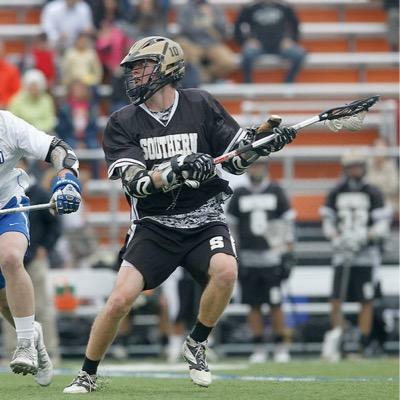 The Brine All American Classic is composed of 20 regional teams from around the country. 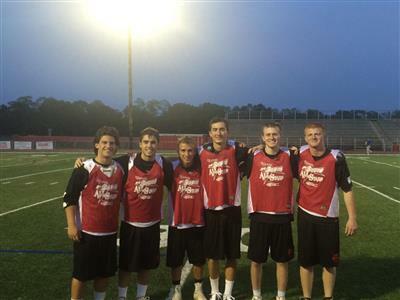 Congratulations to the following senior Boys Lacrosse players who were selected and played in the All Shore Ocean/Monmouth Lacrosse All Star game which was played on Wednesday, June 12, 2013 at Rumson Fair Haven. 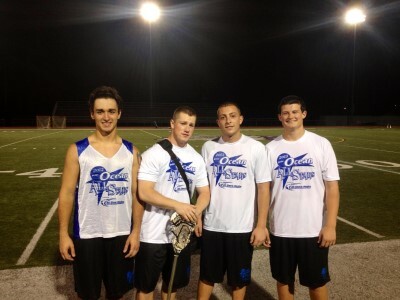 Southern players who participated for the Ocean County team were: Frank Thissen, Tyler Lipositz, Al Manzo & Nick Jinks. 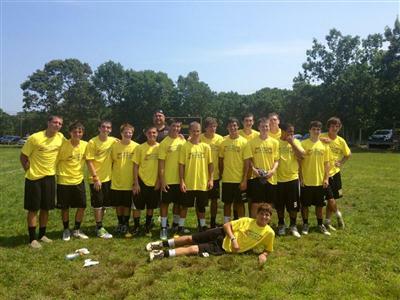 The Ocean County team was coached by Southern coaches John Pampalone and Mike Jinks. Here is a picture of the 2013 SRHS Boys Lacrosse team posing with their NJSIAA South Jersey trophy at their banquet last week. Congratulations again. Admission prices for tonight's NJSIAA Group IV Championship game will be $5.00 for adults and $3.00 for students /senior citizens. Southern will face Ridge which will be played at 7:30 pm at Somerville High School. Good Luck Rams! 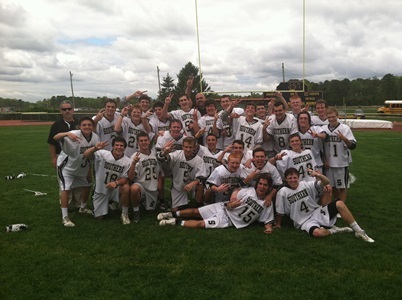 Congratulations to the Southern Regional Boys Lacrosse team on defeating Monroe 19 to 5 and winning the 2013 NJSIAA South Jersey Group 4 Championship. Congratulations to the Southern Boys Lacrosse team on defeating Lenape in the NJSIAA South Jersey Group IV Tournament semifinal 11 to 7. The Rams will face Monroe in the SJ Group IV Final at 11am on Saturday, 5/25/13. The game will take place on the stadium field. Come out and support the Rams! Good Luck to the SRHS Boys Lacrosse team which received the #1 seed in the NJSIAA South Jersey Group IV State Tournament. The Southern Boys Varsity Lacrosse team advanced to the Shore Conference Tournament Final with a 10 to 3 victory over CBA in the SCT semifinals. The Rams will face Rumson - Fair Haven on Tuesday, May 14, 2013 at Monmouth University starting at 4 pm. Attached are guidelines for fans attending the game at Monmouth University. Good Luck Rams! The SRHS Boys Lacrosse team (#1 seed) defeated (#9 seeded) Colts Neck in the 2nd round of the 2013 Shore Conference Boys Lacrosse Tournament 14 to 5. The Rams advance to the Semi-Finals on Saturday, May 11th at the Neptune Athletic Complex at 11 am. Southern will face (#5 seed) CBA. Good Luck Rams! Attached is the 2013 Shore Conference Boys Lacrosse Varsity Tournament. Southern received the #1 seed and will host the winner of the Colts Neck/ Wall Twp. game on Thursday, May 9, 2013 at 4 pm on Field #11. Please come out & support the Rams! 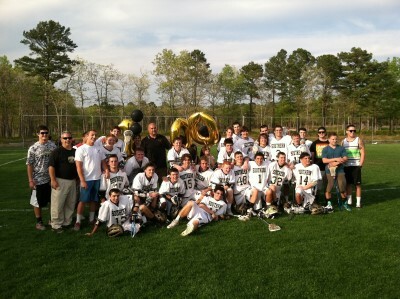 Congratulations to the Southern Boys Lacrosse team on defeating Barnegat 15 to 3 and winning the 2013 Shore Conference "A" South title. The game was also a huge success between both schools as the event raised over $550.00 that will be split between two organizations American Cancer Society and the David's Dream and Belief Foundation. 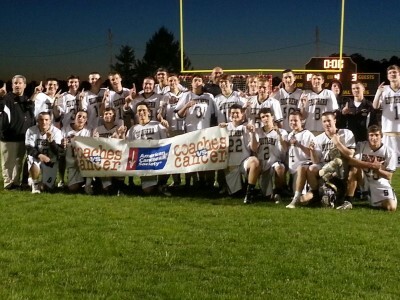 Congrats to the Rams and Bengals on the "Fight for a Cure" Cancer Awareness Fund. 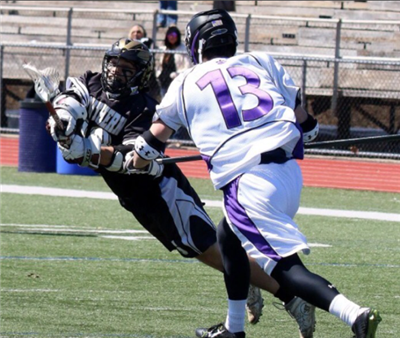 Congratulations to Sophomore Dylan Jinks #18 on being named The Star Ledger, Athlete of the Week after scoring the winning goal in the Rams thrilling triple overtime victory over Jackson Memorial 9 to 8 on Saturday, April 13, 2013. Southern is currently 6 and 0 on the season and they are currently in 1st place in the Shore Conference "A" South Division as well as being ranked #1 in the Overall Shore Conference and Press of Atlantic City Elite 11 polls. Attached is the 2013 Spring Season Lacrosse preview of the Press of Atlantic City featuring Southern Ram Lacrosse. 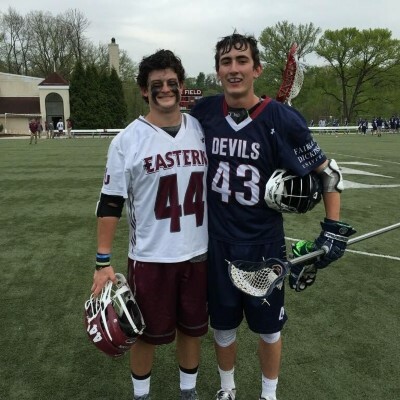 Congrats to Nick Jinks who has committed to play lacrosse at Eastern University. Attached is information regarding a fund raiser for the SRHS Boys Lacrosse program which will be held at Longshots in Waretown, NJ on Friday, January 25, 2013. 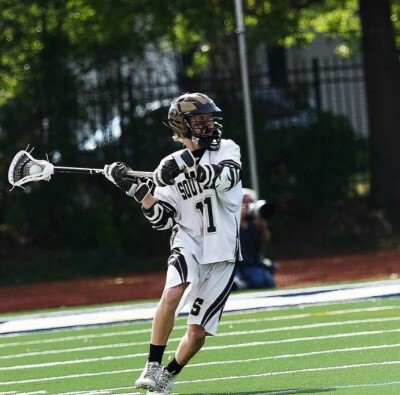 Congratulations to Sophomore Dylan Jinks on being named the 2012 New Jersey State Boys Lacrosse Freshmen of the Year according to the Star Ledger/nj.com. Good Luck this upcoming Spring! Congratulations to the Rams Lacrosse Club Team on winning the "T3 Lacrosse Tournament" Varsity Boys Division this weekend at Southern Regional. The club team won 5 games during the tournament including defeating the East Coast Lacrosse Club (out of Old Bridge) 4 to 1 in the final. 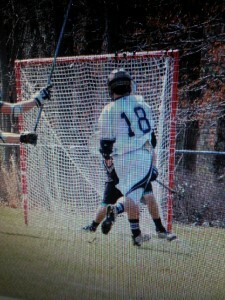 Congratulations to the Southern Boys Lacrosse Team (#9 seed) on defeating Freehold Twp. (#24 seed) in the 1st round of the NJSIAA Group 4 Tournament. The Rams will travel to # 8 seed Hillsborough on Tuesday, 5/22/12 at 6:30 pm. Congratulations to the SRHS Boys Lacrosse team on defeating Red Bank Catholic 7 to 6 in the quarterfinals of the Shore Conference Tournament and advancing to the semi finals of the SCT for the first time in school history. 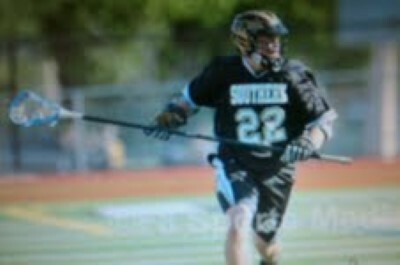 Southern (#4 seed) will travel to and face (#1 seed) Rumson Fair Haven on Saturday, May 12, 2012 at 11 am. Congratulations to the Southern Boys Lacrosse team on defeating TR East in the 1st Round of the Shore Conference Lacrosse Tournament. Please come out and support the Applebee’s Flapjack Fundraiser breakfast to support Southern Regional Lacrosse on Sunday, April 22nd from 8 am to 10 am at the Manahawkin restaurant on Route 72 East. 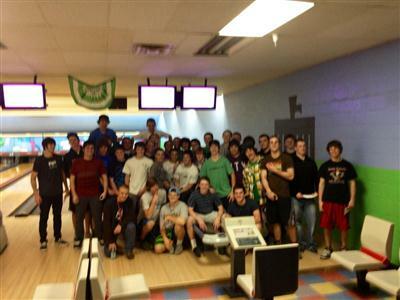 On Friday night, 3/30/12 our Boys Lacrosse program had a season opener pizza & bowling party at Thunderbird Lanes in Manahawkin, NJ. 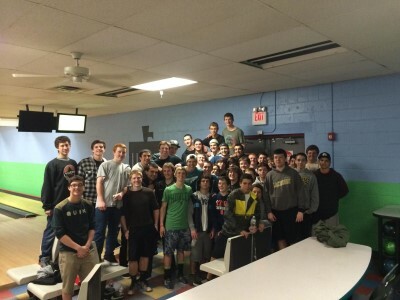 Good Luck this season and thanks to Thunderbird Lanes for their hospitality and Pietro's for the delicious pizza. 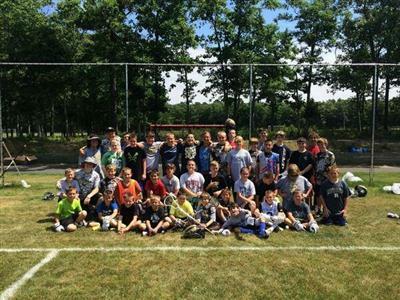 Monmouth University Lacrosse "Hawk-Tober Fest"
T3 Lacrosse Club is hosting the “Best @ the Beach” Lacrosse Tournament on this weekend July 22nd thru the 24th at Southern Regional High School.